This electronic artist has given everyone a huge gift. 2 full free albums! Download the link below to get Innobushu’s “Life Is A Canvas” and “Pinna Notch”. Happy new year. DD: Hello Hello! Hows the day or night going in Norway? Inno: Not sure… I actually live in Chicago now, it’s a nice snowy night here. Having Oslo up on my profile was wishful thinking. I’m tying to make it over to Norway soon, it is one of my dream spots to perform. I would love to check out a show at the Oslo Opera House and learn more about the Oslo music scene first hand. DD: Where does your name come from? Any major significance for you? 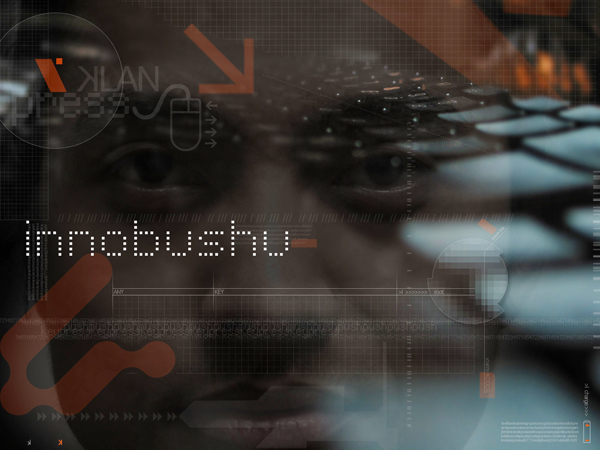 Inno: My project name Innobushu, came from this strange sequence dream I had few years a go where this woman kept whispering “Innobushu…Innobushu…innobushu”. The next day I woke up and that word stuck with me ever since. DD: What’s the electronic scene like in Chicago? Do you have a group of artists you hang out with? Inno: Chicago’s music scene is more indie vibe right now but interest in electronic music is growing. Most of the music venues in Chicago are not intended for electronic music, electronic musicians end up playing at old venues that have bad acoustics for electronic music. The city could use a venue here like Casa da Musica in Porto, It would be a heaven for Chicago’s electronic scene. The Sonar festival just came to Chicago over the summer it was the first time. I was really blown away by the artists who performed at the festival. Chicago has diverse music scene, I just wish the electronic scene was a bit bigger. Right now we have some great electronic artist like John Hughes, Hughes is the founded of Hefty Records which is based in Chicago. Hefty has signed some great artist’s like Telefon Tel Aviv but personally I hang out mostly with my cat, some friends and the cats friends, they’re a rowdy bunch…haha! DD: What’s your creative process been like to get to this current point? Has your style always stay around these kinds of songs? Inno: I spent a lot of time doing field recordings, especially of ambient noise environments. Taking field recordings really helped develop some of my musical creativity. I do have another project called Arteshe ( http://soundcloud.com/arteshe ) which is a more conceptual project of songs different from Innobushu. Two years a go I went backpacking with two of my buddy’s in the Grand Tetons. While hiking, I recorded different type of noises of the wind, ambiance of the forest and streams at different elevations, from 6,000 to 12,000 feet above sea level. It was such a great experience. I use some of the samples for the Arteshe project. DD: Who are some artists you look to as solid examples of creativity,innovation and such? Inno: Its like a doctor asking me to choose between my arm or leg… ;D But when push comes to shove I would say I really like Aoki Takamasa, love what he did with max and pure data patch for the beat. Repeat Pattern: He is a really talented beat maker who makes really dope experimental hiphop with drum patterns that are wicked. have a lot more coming. I have a bunch of interesting sketches of new compositions that I put on hold, can’t wait to finish them though. Really felt this one! Look out for Innobushu and SP-33 in future DD posts..